It’s seven days of frivolity and mirth, escapades and escapism, the bunting is up and the excitement is building, Kingsbridge Fair Week is only days away. Kingsbridge Town Square will play host to all manner of action-packed activities, and Rowlands Funfair will be lighting up the waterside. This year’s diary of events includes plenty of old favourites, plus a few new instalments, culminating in the carnival procession and fireworks display. 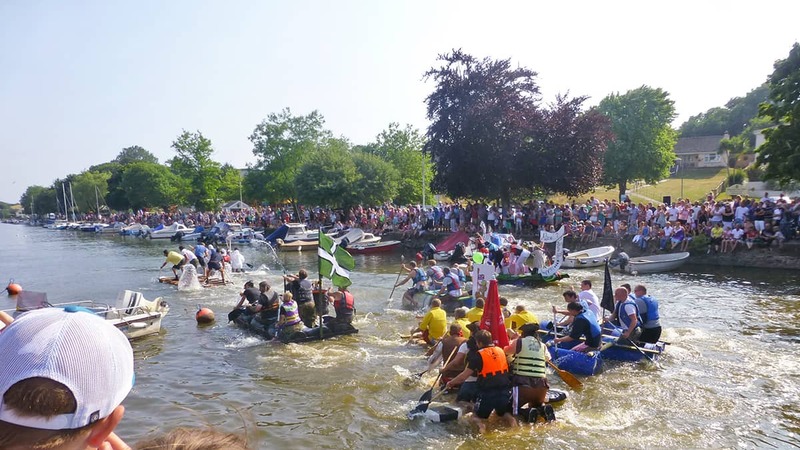 Our very own Toad Hall Cottages raft race team will be defending their crown on the water and the boules competition is set to attract teams in their droves, all vying for that glittering champions’ title. Kingsbridge Rugby Club will be hosting the 5-a-side football tournament and athletes will once again gather at the starting line to compete in the Kingsbridge 10K Road Race – one of the region’s toughest with its gruelling hills and runaway valleys. An exciting line up of live music is set to get the bandstand rocking, with headliners Bootlegger’s Turn and Abba’s Angels sure to have the crowds up and dancing. This community event is loved by the locals and adored by visitors, a real coming together which prides itself on offering something for everyone. We have a long list of holiday cottages in the stunning estuary town of Kingsbridge, take a look at our website for all our latest offers. Whether you’re looking for a family break, holiday with friends, couple’s retreat or a solo escape, we can find you that special place – from the luxurious and stylish to the rustic and romantic, and all at highly competitive prices. The historic market town of Kingsbridge is a thriving waterside community with a busy high street, popular markets, and a pretty promenade. 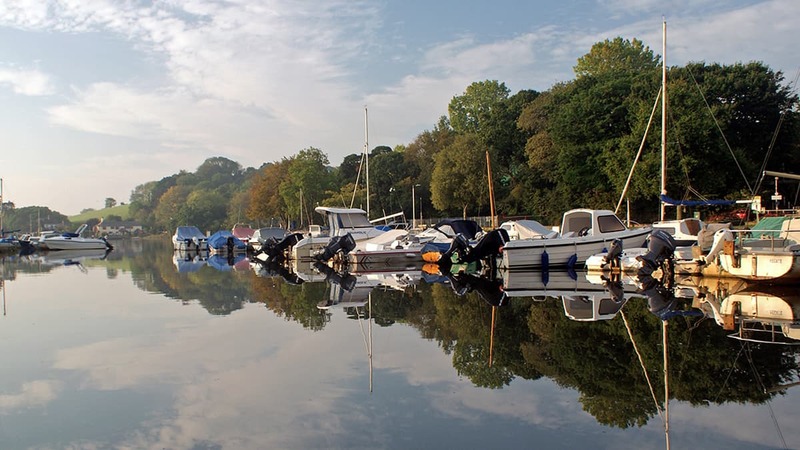 With wonderful views of the tidal estuary, Kingsbridge is a great central base for holidaymakers looking to explore the surrounding coastline, with the added convenience of local shops, pubs and restaurants. South Manor Cottage, in the tiny hamlet of Gerston, is a charming dwelling tucked away in the beautiful South Hams countryside just outside of Kingsbridge. Its spacious rooms, magnificent Georgian fireplace and limestone flooring are just some of the elegant features that make this manor house cottage so special. With its wonderful views both up and down the Kingsbridge estuary from its private balcony, 7 The Moorings, is one of our most desirable waterside apartments. Easton Court Stable is a recently converted cottage, set on a working farm in the heart of the beautiful South Devon countryside. This superb property, dating back to the 1700s, is furnished and decorated to an exceptionally high standard. The Granary is a tastefully modernized barn conversion placed at the head of the tranquil waters of Bowcombe Creek. Less than a mile from Kingsbridge, this gorgeous holiday cottage is surrounded by rolling Devon hills and ancient woodland.